Posted on August 25, 2016 at 3:43 pm. 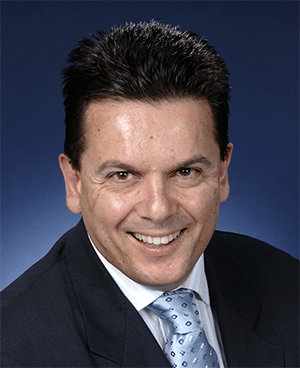 South Australian Senator Nick Xenophon is pushing for gambling reform. But many of his points miss the mark. A keen punter and avid sport and racing fan, our editor takes a look at the recent storm surrounding Australian gambling and online bookmaker legislation. While Nick Xenophon is, as usual, beating the pokies drum, it’s the part of his proposed legislative reforms regarding offshore betting sites and live betting on sports and racing that we believe are off the mark. Australian bookmakers have been pushing for online ‘in-play’ betting for many years, with Aussies currently only able to wager on sports that are underway via phone accounts. Recently, they also banned live betting from your computer’s microphone and speaker devices. As a regular punter in the right target demographic for online betting sites, I don’t give a damn about whether I can bet live or not. But there are people who do care. These people are forced to wager offshore at gambling sites regulated in other countries. Given it’s only a small percentage but these punters are usually your pros or whales as they are known in the game. The average punter plies their craft at various online bookies based in Australia. The other determining factor in Australians wagering at offshore websites is the well-known fact many of the corporate bookmakers cut off any punter who has a semblance of success. In contrast, the big players overseas are happy to take on the punter even at the risk of dampening their own profit margins. Australian bookmakers want this business and it seems crazy that we are forced to wager offshore when there are so many respected brands operating here, in our heavily-regulated environment. Admittedly, the bookmakers could do more to help themselves by providing a fairer platform for the successful punters. But they could also use a kick along from the government and be given permission to allow in-play betting. Rather than creating more rules about what we can’t do, it’s time to bring regulation surrounding gambling in Australia into the modern age. We don’t want websites blocked, you tell us there are people visiting them, so there is a demand for these services. It’s hard to believe isn’t it, free willed Australian citizens doing what they want, rather than what politicians want. It comes down to this question: Why are we visiting and betting with sites licensed in Curacao, Malta, Costa Rica and other far-flung places? The simple answer is because these gambling services are not available in Australia. It’s naive to think our efforts at blocking banking transactions and entire websites will be any more successful than the USA or China. Isn’t it a massive step backwards to start censoring our online consumption? Take a look at America. Millions of people still wager at offshore casinos and sportsooks because there is a lack of regulation in most states. Just four have legalised online sports betting and there is constant agitation for further reform that would see the country become regulated on all fronts. It has even reared its head during the current election campaign. We bring up the USA because they have gone down the path of blocking payment transactions. It simply hasn’t worked. It has probably stopped the casual punter who might have a flutter on the Triple Crown once a year, but the big punters and everyday grafters still find a way to wager at offshore sites. On the topic of blocking bank transactions, while many USA citizens are frustrated they can’t deposit to offshore sites at times, they find ways including pre-paid cards, web wallets and alternate currencies like bitcoin – a largely anonymous crypto-currency, which has become a gambling ‘go-to’ because of laws like these proposed by Xenophon. A quick scout of some popular sites promoting bitcoin and most of them feature gambling advertising, indicating there is a large use of this method by gambling companies like Bovada, that service the US market. Do we really want this type of situation in Australia where these punters are forced further underground, further from the necessary help they need, if they develop a problem? In stark contrast is the wagering environment fostered by the United Kingdom Gambling Commission, which fully regulates sports betting sites, online casinos, online bingo and any other betting activity in the country. They don’t bother blocking sites and certainly don’t interfere with banking transactions to offshore websites. They have embraced the digital age and in turn they have stamped out many of the problems surrounding online wagering. The UK Gambling Commission also provides support for problem gamblers and get on the front foot in regards to modern technology like live betting and set realistic boundaries for bookies and punters to abide by. They don’t simply ban it, that is a red flag for any bettor. Being proposed at the moment in the UK to tackle offshore bookmakers is the Authorised Betting Partners, which would see offshore bookmakers legally-able to accept wagers on racing in Britain, the pay-off, a fixed percentage of revenue given back to the industry from those who have signed to the scheme. While there have been some objectors it looks like this will be put into play in the not too distant future. It’s a plan for the future, not for the next 20 minutes. For Australia to better help the problem gambler we need to provide the same sort of infrastructure countries like the UK are providing, not another stop gap measure which would see constant media coverage of people flaunting the rules and regulations brought in by out of touch politicians, however good their intentions are. Educations and logical, well-thought out policies like the ABA scheme in the UK can seriously make a dent in the money leaving our shores. Opposition to measures like the ABA will come thick and fast, notably from the bookies licensed in Australia, who already pay their dues to state regulatory bodies like the Northern Territory Gambling Commission. Why would they want increased legal competition? Well for once it might be time the people had a say on the matter, rather than the politicians doing their own thing, like in regards to greyhound racing in NSW, or pandering to big companies like Sportsbet and Crownbet who would hate to see their market share touched up by offshore operators. Giving the government greater power in blocking gambling websites at Internet Service Provider level is a disaster for us all. Where will it stop? Next it will be retail complaining their prices are undercut by cheaper retailers ‘offshore’. Will tech companies based overseas be blocked as well? Because it creates cheaper competition for local people? Under Nick’s solution we block the websites in China or wherever they are. This is the nature of modern globalisation. Companies have a huge global footprint – they don’t simply operate within their borders any more. It’s up to us — Australia — to keep up. We can’t sit back and wish we were living in the 80s before the scary internet came along. If we don’t there are rocky roads ahead. Can Australians play at online casinos in the meantime? Yes, and so can all readers visiting us from United States. While all of this headache inducing gambling reform which is missing the mark is underway, Australians can still enjoy and play at Raging Bull Casino for real money or free bets.